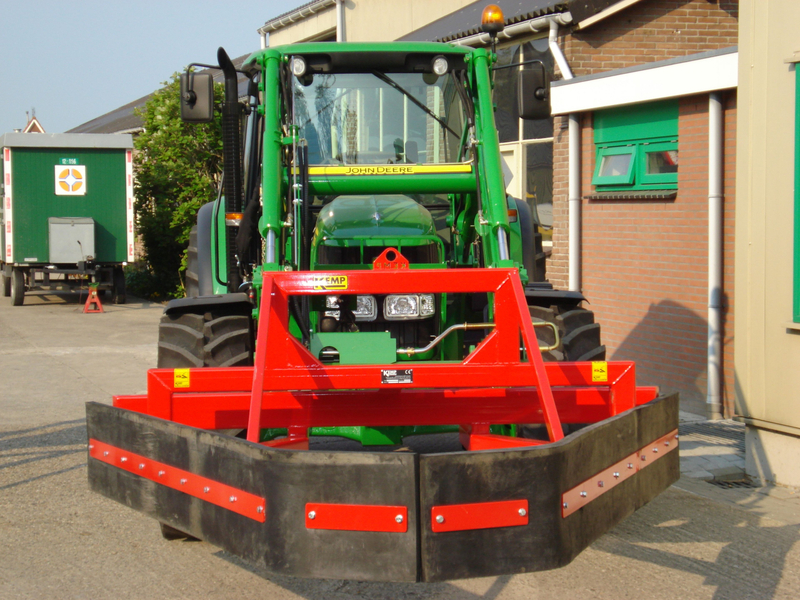 The RVSV is a strong and stable rubber scraper, which can be used to push quickly and frequently. 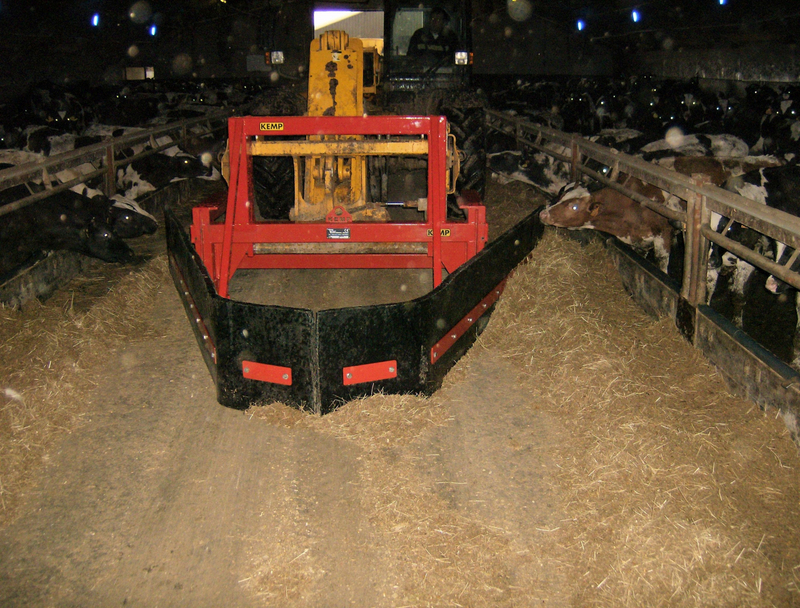 The feed slide is available with attachments or bucket connection. 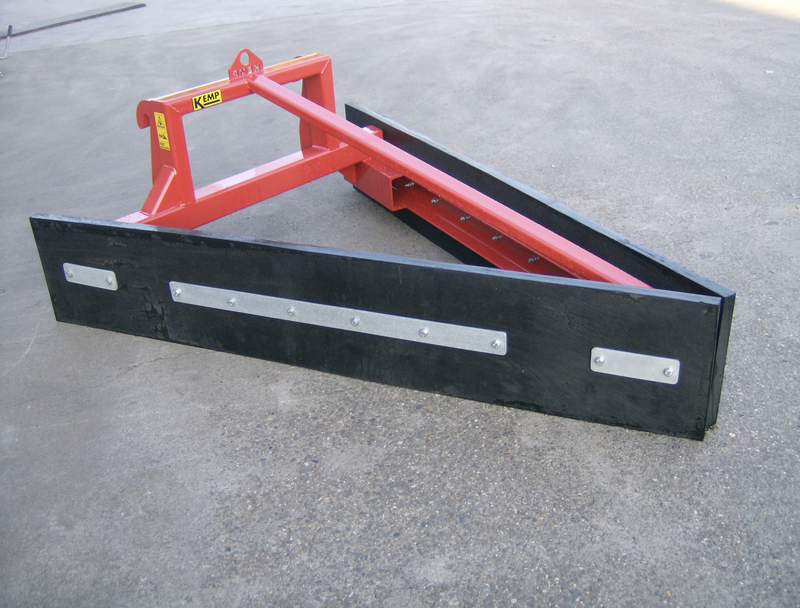 The RVSV is a rubber scraper in a V-shape; two U-beams are welded together in 70 degrees. Due to this large tilt, the feed can be properly transported towards the cows and it will not start to accumulate. The RVSV is available in four sizes. This measure is at the point where the two rubber strips are furthest apart. The sizes are 1,600, 1,800, 2,000 and 2,800 mm. The choice of one of the sizes depends on the width of your vehicle, because the rubber comes next to the vehicle. The vehicle must therefore be narrower than the width of the gate, our advice is at least 400 mm narrower.